Greenville Commercial Property Management, Greenville Commercial Property Managers, Greenville, SC Commercial Property Management Companies. We specialize in business assets listing, acquisitions and brokerage services to clients and customers, the business owner/seller and buyer/acquirer. We provide our clients with the means to achieve their goals through a more successful and confidential business transaction. Our brokers work diligently to get your property sold. Understanding the goals and commitments of our clients and the needs of their tenants will always be the foundation on which we manage every project. The business brokerage community is an established industry, albeit fragmented. While there are some larger offices throughout the United States, more than 60% of the community consists of five persons or less and one person offices consist of the majority of practitioners. Business brokerage is a low cost of entry or exit, thereby giving it a revolving door image. However, there is a dedicated constituency that has evolved and they are the committed professionals that provide the majority of services. The outlook for the business is strong. Baby boomers have reached their financial peak and are seeking to sell or buy a business. Others have been downsized due to companies reducing their work force. "The American Dream" is to own your own business. Those who choose to follow this dream will start a business, buy a franchise or buy an existing business. The critical needs of the business brokerage industry are professionalism and an ability to educate both the seller and the buyer. Problems arise during the process of buying or selling a business when people arrive with preconceived notions about what it takes to initiate and complete a transaction. It is the responsibility of the business broker to provide better training, information and guidance regarding what is required to successfully sell or buy a business. 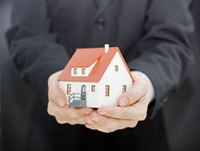 In a typical business for sale transaction, brokers contract with the seller of a business. The seller is the client. Certainly, brokers also have the capacity to assist buyers of businesses, as clients, so long as there is no conflict of interest regarding representation. Expanding from our South Carolina base, we seek to offer our services to business sellers and buyers throughout the United States. It is our goal to educate our clients who wish to sell or buy a business so that they may make informed decisions. Based on our extensive experience since 1994, we offer business consulting services that include but are not limited to business valuation, business exit strategy planning, business financing, intermediary services and more. We are professional, confidential and extremely dedicated to each and every one of our clients.